Cartridge Save will make your cash go longer simply by being seriously aggressive about the cost of Canon MF4270 cartridges. We take great pride in supplying Canon toner cartridges that are marked down in price and consistent to work with. Do you still have doubts about our company? Cartridge Save aim to save your by offering you with free delivery on Canon MF-4270 toner cartridges. And if you desired further incentive to buy Canon MF4270 toner at Cartridge Save then you must take into account the no quibbles return policy. Cartridge Save will happily offer a 100% reimbursement in the really unlikely scenario that a Canon MF4270 toner cartridge fails to function properly so why should you have to take the risk of purchasing any toner cartridge from an unreliable company? Don't lose out! Place your order now to start saving! The Canon i-SENSYS MF-4270 laser multifunctional is aimed at small office that needs a multi-tasking printer for a workgroup. Network-ready, the i-SENSYS MF-4270 promises speed and efficiency with laser printing and other perks like copying, colour scanning, reliable faxing, and lower running costs, but it does not have expandable options. Also, the costs per page are actually higher than the competition. Canon combines industrial and sleek styles to come up with the attractive frame for the i-SENSYS MF-4270. 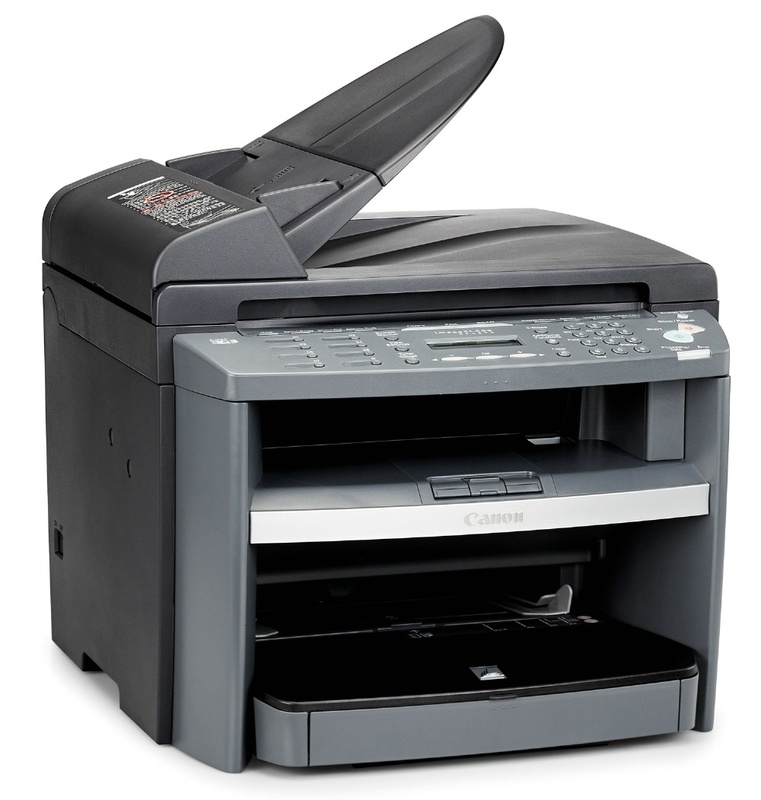 The MF-4270 is integrated with a digital 600dpi copier and a flatbed colour 24-bit scanner. The most notable addition is the Super G3 33.6kbps fax machine. The Canon i-SENSYS MF4270 laser printer connects to the PC via USB 2.0 and can be shared by a network via Ethernet. It runs on 32MB of RAM and can be manipulated on-board with the busy-looking yet organised control panel. There is a 2-line, 16-character display screen with no backlight, but it is slightly angled so overhead lighting makes it easier to view. The Canon i-SENSYS MF-4270 all-in-one printer is network-ready, comes with an auto duplexer, and can do double-sided printing. It barely needs time to warm up again after sleep mode, and even boasts a 35-sheet ADF (automatic document feeder). The i-SENSYS MF-4270 mono laser printer is fairly speedy at up to 20ppm even in 1200x600dpi resolution. Useful programs for document management including an OCR for the scanner also come with this easy-to-install device. The Canon MF4270 multifunction printer can be expensive to run. There are no options to expand the built-in memory of the Canon i-SENSYS MF-4270, which is quite noisy when printing (up to 66 dBA of sound). This is a heavy device, too, weighing around 13.2kg. The Canon i-SENSYS MF 4270 is not the most compact model from the line.